Alexandra, I love to hear that you find this issue as important as you do. The state of our Earth worsens with each passing moment and I agree that serious steps towards recovery need to be taken now. I love that you mentioned #savethebees as well as bees are often over looked as being important. It’s about time that people stop expecting others to fix the world while they continue on the way they do! This is a wonderful letter and I hope you keep writing in an attempt to motivate others to help our planet! I’m so happy to see that other people like yourself care about the environment. Just thinking about how the planet is ‘dying’ stresses me out to no end. I agree with you that the President can and should do more about this issue. 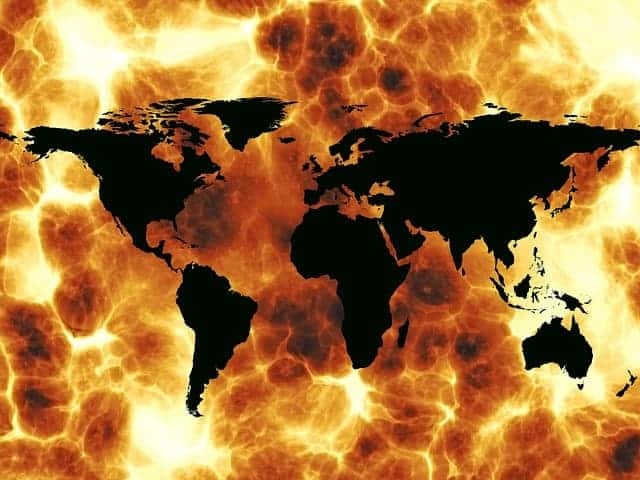 I think it was an extremely rash and flat out dumb move the President to pull out of the Paris Climate Accord, making the United States the only major country who hasn’t signed it. Something needs to be done before its too late! I really liked you’re sentence, “It is our responsibility as a human race to save what we have left”. Not only do I agree with it, but it’s a very powerful and moving statement. Thank you for your post! I completely agree that everybody has the right to take a knee. It is up to you to decide how to interpret the symbolism of the flag and the anthem. 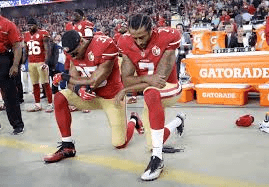 I think it is great that football players are using their high platform in society to show that we have a lot of problems in our country that we need to address. Your point on this case is very clear and well-written: We, including (and maybe especially) football players have a right to protest. You utilize examples to defend your case very well, from the Constitution to Veterans’ twitter accounts, and your counter-example, Darryl Strawberry, is used to effectively further your position. After a little research, I found that the NFL does not require – though it does encourage – players to stand for the National Anthem as a part of the procedures manual before a game (see http://www.kansascity.com/sports/spt-columns-blogs/for-petes-sake/article175221581.html). Finally, I think you did a very good job walking the fine line between the ability to exercise a right, in this case free speech, and requiring someone to do so. Thank you for your post! I am looking forward to your next one. I totally agree with your argument. There is no reason that people should be angry that people are kneeling as a form of peaceful protest. My biggest issue is that the people who get riled up about this, including Trump, did not get as riled up about the Neo-Nazi riots in Charlottesville. This shows how deep-rooted racism is in this country. I like that you quoted the whole First Amendment, it is great evidence and support for your argument. I suggest maybe using the idea of the flag code and how hypocritical everyone is for being angry at people taking the knee, when they break the flag code all the time: http://www.scarymommy.com/twitter-thread-respecting-the-flag-hennywise/ I hope you expand on more issues of race in your next posts. Good job with this post! I completely agree that taking a knee is a part of freedom of speech and that shouldn’t be taken away from us. While researching more about this subject I came by a video of former President Barak Obama saying “Freedom of speech is easy to protect when you agree with it, but it’s the hardest to protect when you don’t agree with it but we must still protect it.” I believe that’s why so many people (including our president ) feel that the people kneeling should be fired or something is because they don’t agree with it and due to that they feel that it shouldn’t be allowed. Which I believe is complete nonsense since we all have the right to an opinion no matter who does or doesn’t agrees with it. Alexandra, I definitely agree with you when you said that “anyone should be able to take a knee during the national anthem” because it is protected by the first amendment. I also agree that there are extremes to both sides, both of which need to be taken into consideration. You might find this article helpful: http://deadline.com/2017/10/nfl-anthem-protests-continue-as-owners-dither-trump-agitates-fans-act-1202192702/ . I look forward to reading more from you on this topic in the future. Alexandra by is licensed under a Creative Commons Attribution-ShareAlike 4.0 International License.